Call it a good loss if you want, but nevertheless the Browns are 3-6. 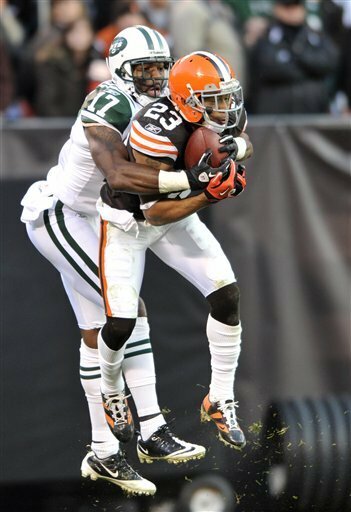 Sunday at Browns Stadium the team hung in as best it could with the big, bad New York Jets, but in the end the Jets got the play they needed, a 37-yard catch and run from Santonio Holmes for a touchdown in OT to top the Browns 26-20. Holmes’ TD came with just 8 seconds left in the OT period, and it looked as if the game could very well have ended in a tie. It looked like it wasn’t even going to go that far, as the Jets basically dominated the second half in almost every category. They held the ball for over 20 minutes, and it looked like they were going to top the Browns after they pushed ahead, 20-13, with 2:42 remaining in regulation on a 25-yard field goal by Nick Folk. The field goal occurred moments after Browns safety Abe Elam dropped what should have been an interception inside the 5-yard line. 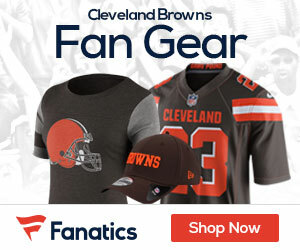 The Browns answered with a 10-play, 59-yard drive that ended when rookie quarterback Colt McCoy connected with Mohamed Massaquoi from 3 yards with 44 seconds left. Phil Dawson’s extra point tied it. The OT started with the Jets getting one first down, but punting. The Browns came back and started a march downfield, and it looked good as they passed midfield. On a third down, Colt McCoy hit Chansi Stuckey on the right side. Stuckey got the first down inside the New York 35 but fumbled as he tried to fight and tiptoe for more yards. The Jets recovered at the 36. A booth review confirmed that Stuckey had not stepped out of bounds before being stripped. The teams went back and forth, as Folk missed a 47-yard field-goal attempt with less than five minutes remaining in OT. It was Folk’s third miss. The Browns offense did little though, allowing the Jets to stop them deep and then they got the game-winner with less than 10 seconds left. It was the second consecutive overtime win for the Jets (7-2), who won 23-20 in Detroit last week. They are the only undefeated team on the road at 5-0. The Browns will head to the road, as they play the 5-4 Jags on the road next Sunday. On one hand, great game! 2-2 on this stretch of schedule is pretty damn good! On the other hand…a loss is a loss and they could have won this one easily. Oh well…Jacksonville is up next! That was a heck of a game they played. I wish they would have won but I am very happy that they are finally playing some football worth watching. Compared to the last few years. So I think fans should be giving these guys a hand for playing some hard fought football this year.